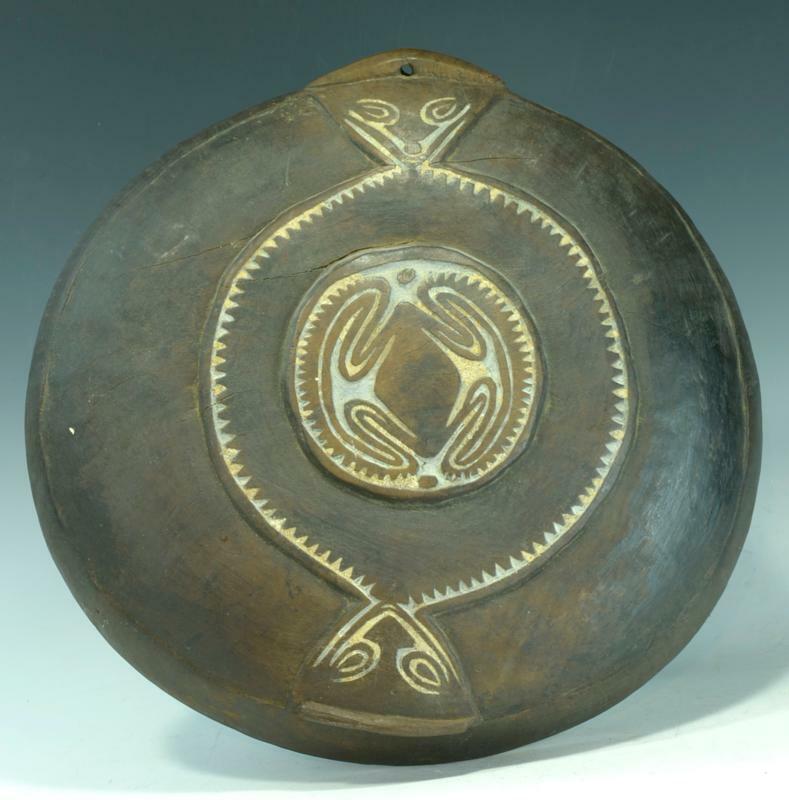 Shallow one piece circular construction with totemic iconography on back, carved and highlighted in white pigment. 14 inches wide. Good varied old patina and with old label and small crack. Ex lifetime Coll of Drs. Saul Tuttman & Gregory Siskind, NYC.